Archbold Boys are 2017 NWOAL CHAMPS! 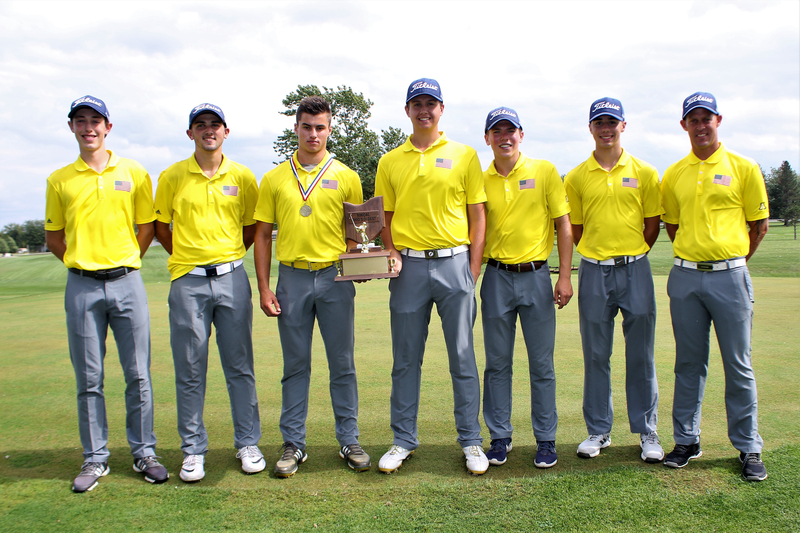 The Archbold Bluestreaks captured their second consecutive NWOAL championship Friday, September 23 at Auglaize Golf Course in Defiance. 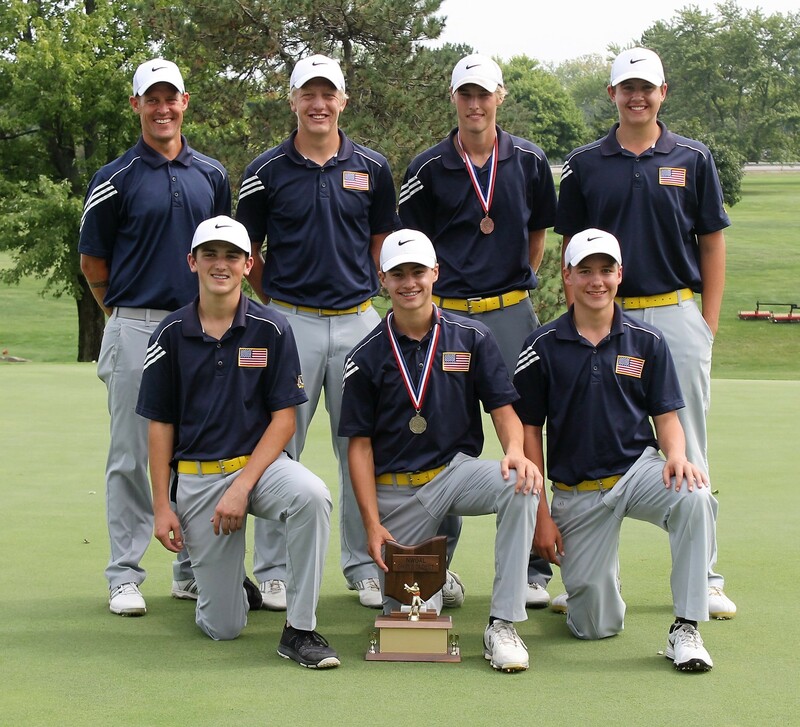 The Bluestreaks carded a round of 308. Streaks' Kade Kern was the medalist shooting a round of 73 . 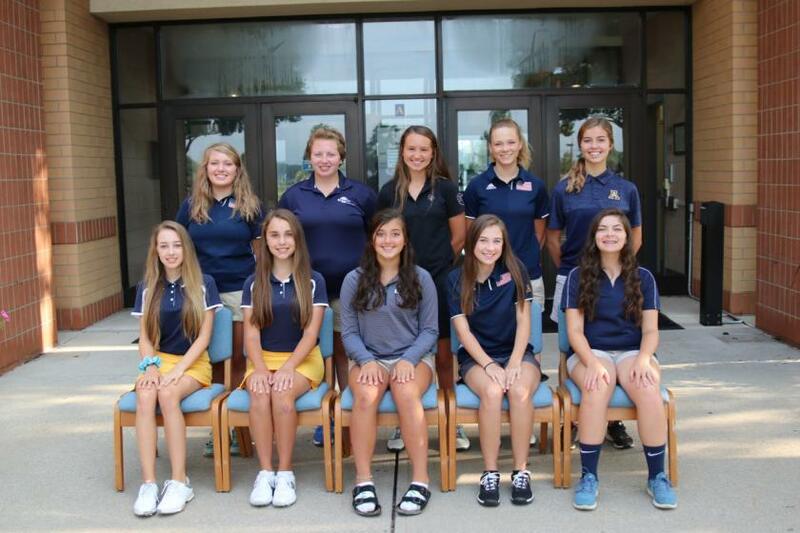 The Archbold Blue Sreaks captured their first NWOAL championship Friday, September 25 at Auglaize Golf Course in Defiance. 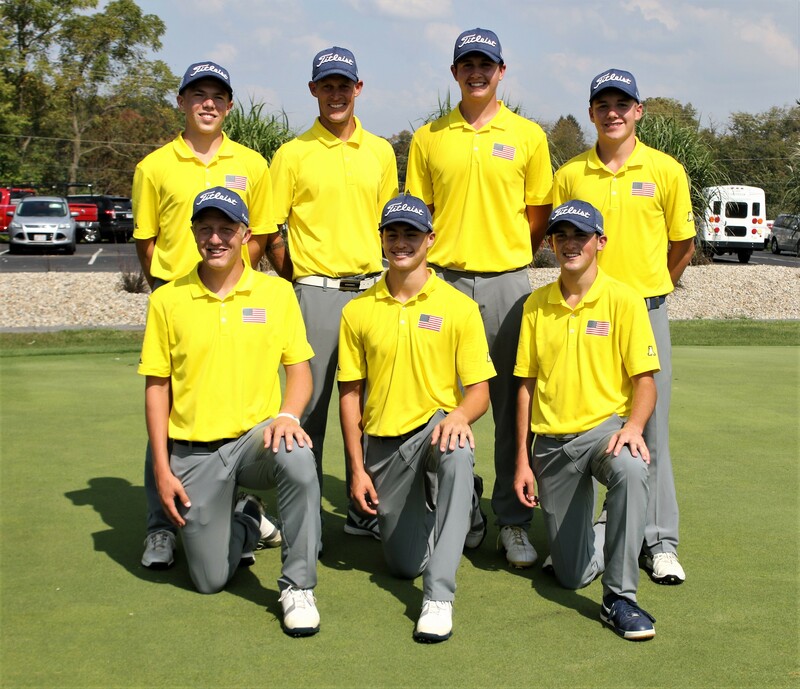 The Blue Streaks carded a round of 321. Streaks' junior, Ian Radabaugh was the medalist shooting a round of 74. Pictured below front row left to right: Brandon Miller, D.J. Schroeder, Ian Radabaugh. 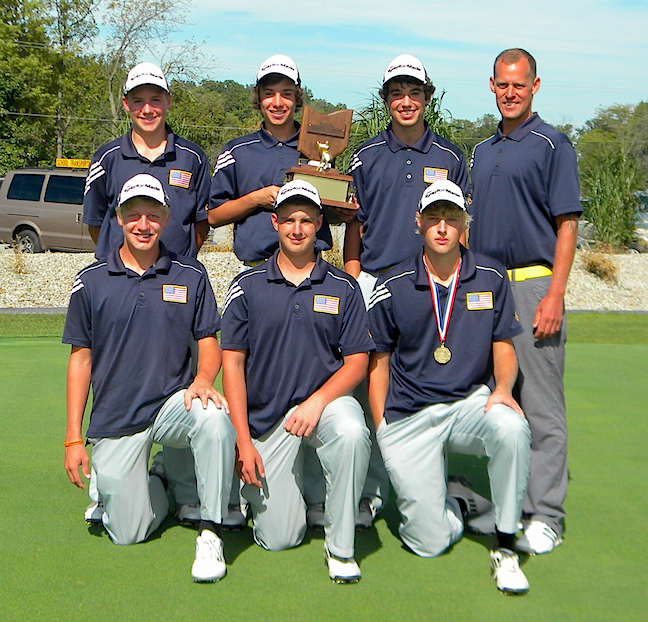 Back row left to right: Trevor Rupp, Elijah Miller, Brenden Bostelman and coach Mike Rosebrook. 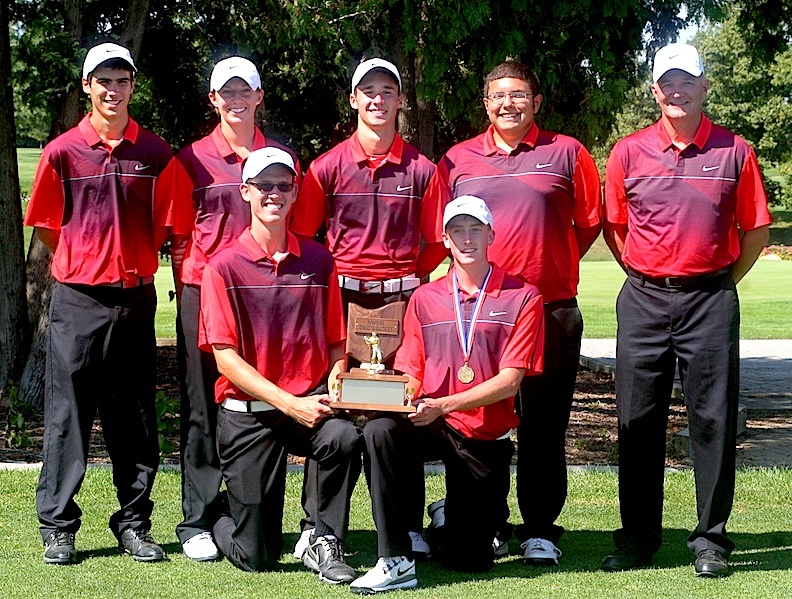 Wauseon is 2014 Golf Champions.